My name is Lara Sturm. I was born and raised on the north shore of Massachusetts and am 44 years old. Between my husband and I we have four kids, 9,10,11, and 18 – 2 boys and 2 girls. My husband and I spend a lot of time at the gym – we own and operate a CrossFit gym with a strength focus. He trains for Olympic lifting while I train for Powerlifting. We live in Johns Creek and I train at our gym – CrossFit Johns Creek – three times a week and once a week with Josh Rohr at Quest. Josh does all my programming and I pretty much just follow what he writes out. Being new to powerlifting, I didn’t really know how to train for competition. 4. What is something that most people don’t know about you? I have a degree in Fine Art – I used to draw and paint a lot. I also love to write. 5. What is your occupation? Does it interfere with competing or visa versa? My husband and I own and coach at a CrossFit gym located in Johns Creek. My experience competing has made me a better coach and I know my members have benefitted. (Nine CFJC members that competed in the USAPL GA Games event with me and all of them did well. I was really proud of them!) There are so many nuances to moving a barbell correctly that have been drilled into my head repeatedly. Because of my experience lifting I program our workouts somewhat differently than I used to – our athletes squat, bench, and deadlift more often and now do it with better form. Their numbers have skyrocketed and I know my experience gained from training for powerlifting is a big part of that. 6. How did you get into powerlifting and how many years have you been competing? I was an out of shape stay-at-home Mom with a toddler and an infant when I first got into working out. I lost my “baby weight,” got muscles, and wanted to compete. So for several years I competed in Figure and trained with a pro bodybuilder. I was way into it: I started working as a personal trainer and was chasing my pro card. After about four years I got disenchanted with it and wanted to find something I could compete in that was based on performance over looks. I found CrossFit and instantly loved it – it’s hard, never boring, with lots of barbell moves. It has always been the lifting – especially deadlifts -- that we do as part of CrossFit that I love. My old knee injury started getting worse towards the end of 2011 and my knee started to dislocate often, with almost any dynamic movement. I had to change up my workouts and I knew my knee never came out while squatting or deadlifting. I started lifting more often as a way to give my knee a break. The more I concentrated on lifting the more I liked it and I started thinking I’d like to compete in powerlifting. I go over to Quest to buy equipment for our gym pretty frequently. While I was over there I was talking to some of the guys about competing and they mentioned an upcoming meet. I started training with Josh as soon as I could and lifted at Battle on the Border – it was such a high that I got hooked. I plan on beating all of these at the Raw Nationals on Aug 3. Best Squat 255lb, Bench Press 142lb, Deadlift 308lb, total 689lb. 8. What titles, records and achievements have you accumulated during your powerlifting career? I want to make my numbers for what is planned for that day. I make sure I know what I am doing a couple of days in advance to get my head around it. I try to give myself a long warm-up and get it done. I never train solo either (boring, hate it) and we try to have fun while we are lifting but sometimes I have to turn up some angry music and really focus to get into a big set. 10. Do you compete equipped (squat suit, bench press shirt & deadlift suit) or unequipped (no suits) or both and what weight class(s) and divisions(s) do you compete in? 11. What is your favorite lift, squat or bench press or deadlift or all three and why? Deadlift!!!! It’s just so pure – you “just” have to pick it up! I love bench too – it’s so much more technical than the normal Joe in the globo gym has any clue about!! It’s probably my weak point though – my shoulder does not want to cooperate lately. 12. Do you have any upcoming competitions? If so, when and where? YES! Raw Nationals baby – Killen, TX - August 3. 13. How do you prepare for an upcoming competition? Describe each aspect that you focus on as you prepare for a competition. Train – and try not to miss a scheduled day. Hit numbers that are planned for that day. That is about it. 14. Is there anything you will do differently to prepare for your next competition that is different from your last one? Not really… I am really focusing on just hitting a 340 Wilks coefficient so that I can qualify for the Arnold for 2013. It’s my first national competition so I just need to focus on what I need to do. The mental prep for this one was different! There are some women in my weight class that have CRAZY numbers – as much as it is great to win, it’s not like I can pull a 400lb deadlift out of the air. 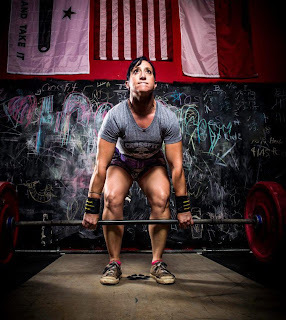 The local competitions have so few women in each weight class that it is going to be very different! 15. How many competitions do you compete in each year? 16. Who is your greatest competitor/rival and why? I am really not competing against anyone except for myself. My goal at my first meet is just to set three new PRs and I expect it will stay the same. 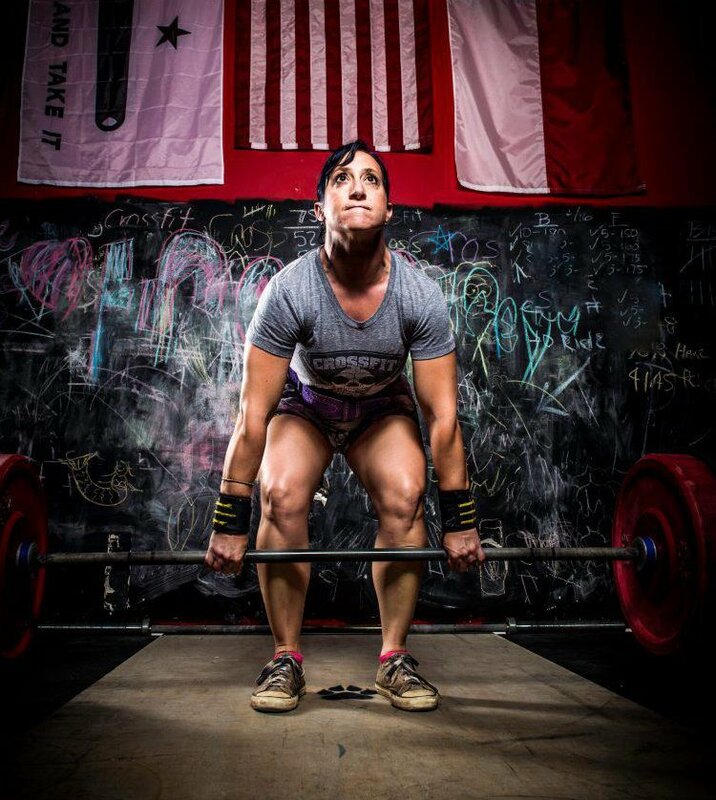 OK… except for wanting to hit a 340 Wilks at the Nationals too. 17. What advice & tips would you give to a powerlifter that is just beginning? If you are just beginning, what advice have you received from other lifters or coaches? Believe in yourself and stay focused. Train for it often and don’t miss a training day. Have a good coach - powerlifting is more technical than it gets credit for. Don’t take yourself too seriously but don’t mess around. Be ready to lift heavy! 18. What is your favorite memory from any powerlifting competition or event? At the GA Games there were nine members of my gym competing and probably another dozen that came out to volunteer and cheer everyone on! It was amazing – they all had their CFJC shirts on and there was a sea of grey in the crowd. I was so proud of the camaraderie that they showed. 19. Do you see yourself still competing in ten years? If so, what are your goals for ten years from now? Yes – I am sure not taking up Yoga or running!!! I need to compete in something- it keeps me focused and gives me a goal to work on. 20. Do you have any funny or interesting powerlifting stories that you can share with us? 21. Anyone you would like thank for helping you along the way in your Powerlifting career? My husband for putting up with my OCD behavior when it comes to lifting (and everything else) and Josh Rohr for being the man with the plan. 22. Is there anything else you would like to add?